The ConvertA and ConvertA2 functions have been combined. The ToSI and FromSI functions have been deleted, since with the use of scripting dictionaries the ConvertA function is very nearly as fast. 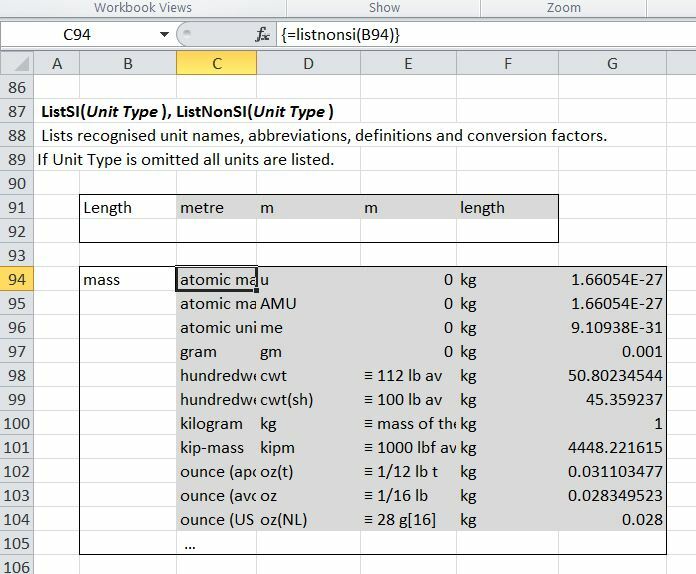 Functions have been added to convert to and from base SI units, and to work with multi-column ranges or arrays. 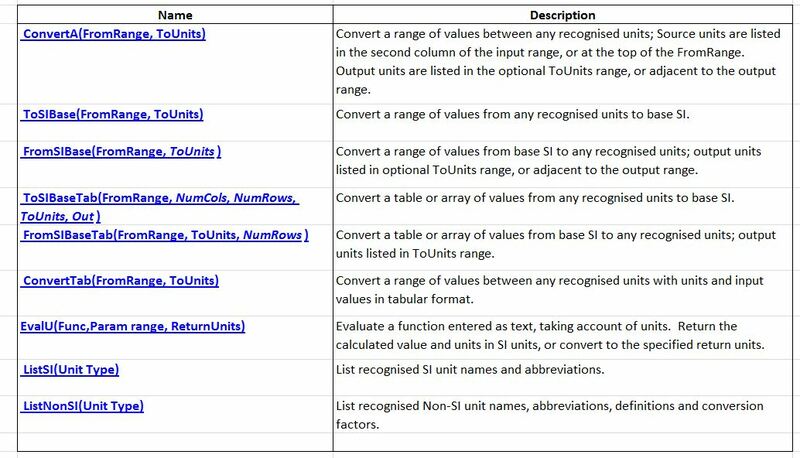 These are mainly intended for use with other VBA based routines. 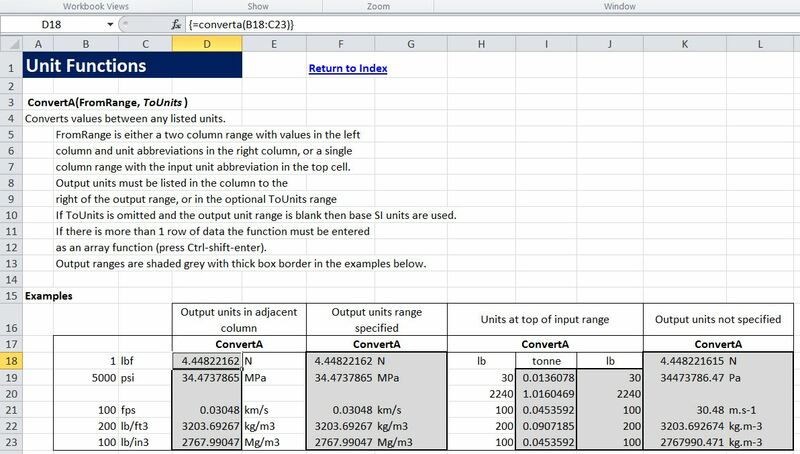 The ConvertA and EvalU functions have been modified so that when all the input values have the same units the unit may be specified at the top of the input range. The updated file is also saved in add-in format. ConvertA function with alternative input options. 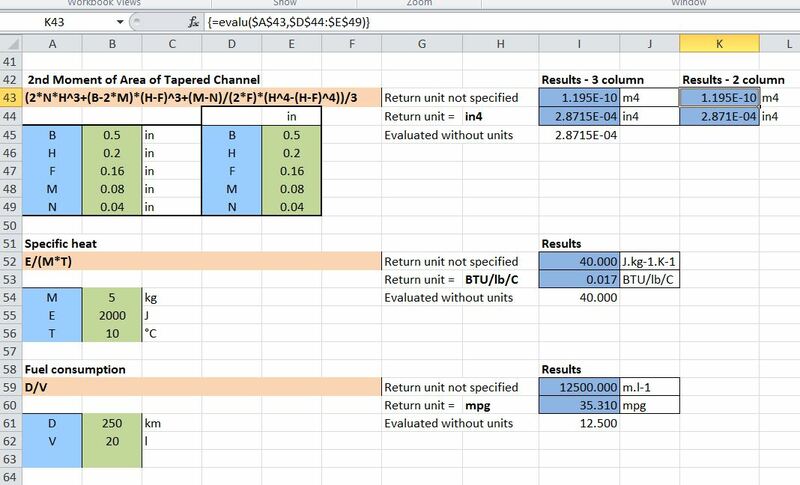 This entry was posted in Excel, Newton, UDFs, VBA and tagged Excel, UDF, Unit conversion, Units, Units aware, VBA. Bookmark the permalink.